Unfortunately, most people are so busy simply keeping up with daily life that they do not even find the time or energy to think about it, much less to act. Others prefer to avoid any worrying and choose to let themselves be distracted. And then there is a small but privileged number of people who benefit from all this and have the power to keep other people so occupied, distracted and even in that sorry state of mere survival. Fortunately enough, small but growing groups of people all over the world are waking up to this reality. Each group faces it from one of the various perspectives, be it climate, ecology, evolution, a humanitarian or social approach, psychology, education, health and nutrition, science, art, sports, justice and sometimes even politics, law, business or economy. Europa's colourful history is full of people from very diverse cultural backgrounds that have contributed to global society with brilliant and constructive inspirations: from Galilei and Newton to Tesla, Einstein or Bohr; from Dante or Cervantes to Voltaire and Kafka; from van Gogh and Mozart to Picasso and Freddy Mercury. Precisely in this diversity lies Europa's wealth and strength. It offers a far broader and richer basis for creativity and inspiration than is possible in a homogenious society where everybody eats the same food, has the same traditions and speaks the same language. 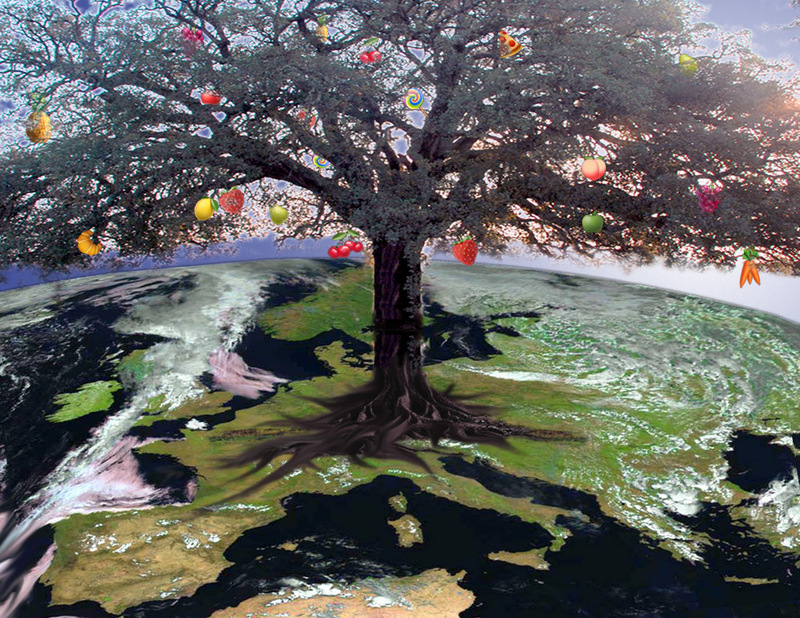 Europa is an old tree with strong roots that carries many different and sometimes unexpected fruits. Being also the territory of the world with the highest degree of freedom and justice, it is precisely in Europa where those innovative social groups sprout and grow more easily. At the same time, Europa also disposes of the essential resources, such as capital and knowledge. This makes Europa the place par excellence, possibly the only one, with enough potential to unleash the change that the world needs NOW to reach the 22st century in a healthy way. But this change can only happen in a Europa that is truly united in diversity for and with its people. So not exactly this EU which essentially is just a political, monetary and market union where the representatives of each country are still mainly guided by national interests. It should be a Europa united by its conscientious citizens, in a human and social sense with a true spirit of "union", of coexistence and sharing. In fact, a community. Europa's potential: its people and diverstity? ‹ A fresh look at Europa?